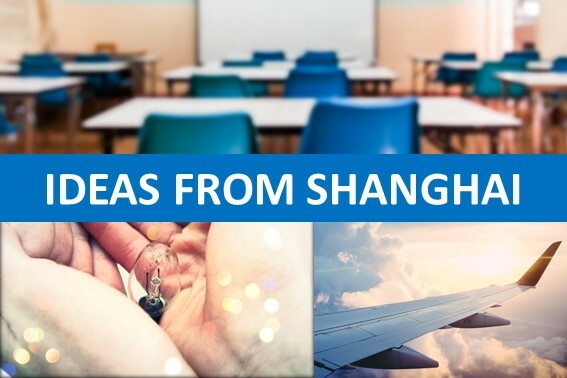 Julie Gallimore, a Specialist Leader of Education (SLE) at BTSA, from St Edward’s Academy school in Leek, looks back at her recent prestigious teacher exchange with a partner school in Shanghai. This is the second in a series of articles that Julie has written, focusing on what she learnt from the trip. 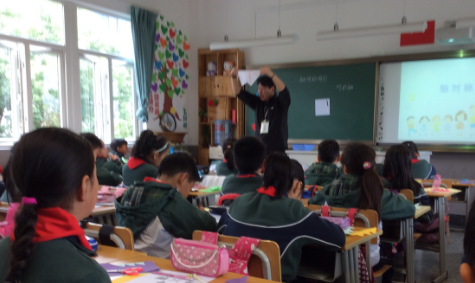 In November I was fortunate to be able to travel to Zhangjiang Hi Tech Experimental Primary School in Pudang, about 40 minutes from the centre of Shanghai, to observe and teach maths lessons. You can read the first article about same day pupil intervention here. The school day begins at 8:00am with all children participating in the exercise class. Watching over 1000 children (aged from 6 to 11) all moving in time to a set of exercises was incredible. Then to lessons. The children have six 40 minute lessons every day, mathematics, English, Chinese at least once per day, with the remainder of the curriculum taken up with art, music, PE, learning to be a good citizen (similar to PHSE), and nature. At lunchtime the children eat their meal at the desk in the classroom. They don’t go outside to play – they practice something – then they clean the classrooms to prepare for afternoon lessons. School ends at 3:30pm; however, many children spend their evenings and Saturday at a private school to ensure they have the best chance of getting into their preferred school as competition for places in the best schools is intense. Some of the lessons I observed were very similar to the lessons our children experience although the teaching style is more passive. Children listen to learn rather than experiment to learn. Using practical resources to support learning is something the Chinese wanted to learn more about from English schools. All children in China know that practice makes perfect and will spend their time learning the Chinese characters, perfecting their handwriting and spelling, learning their maths facts, number bonds and multiplication tables. Their ability to calculate accurately and swiftly was very impressive and something we should aspire to. At least an hour of homework is set every day for Chinese and mathematics, parents are expected to supervise and support their children whilst they complete it.